Matthew Crist talks to Managing Director of PDQ Process Peter Farrington to discuss process serving, how it works and the role it plays in the already complex world of private investigation. Private investigation has evolved over the years and is far from the stereotypical image that many people have of spies lurking in bushes trying to catch out the cheating husband or shady business partner. In all honesty, it was probably never like that in the first place. It’s just the way people have perceived the industry. But as the way we live our lives changes, businesses have to evolve too, and private investigation is no different. One such area in recent years has been a heavy involvement with process serving. Not heard of process serving? Well put simply, if any actions are taken against someone in a court of law, he or she must be notified of the fact officially - a key part in the legal process in most countries around the world. And there are few people more qualified in tracing a person’s whereabouts and movements, as well as knowing just how to stay within the strict confines of the law, than a private investigator. 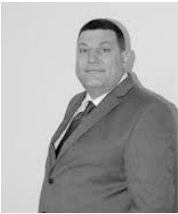 Peter Farrington is Managing Director of Probe Investigations and also founder of PDQ Process, a company formed specifically with process serving in mind. How did the transformation from private investigation to process serving come about? “We realised that process serving was becoming such a significant part of our business that we decided to create a specialist department,” explains former police officer turned Private Investigator. “Process serving is the delivering or serving of legal documents, such as a summons or lawsuit, to the right person, at the right time in the right manner - whether that is legal professionals, businesses or private individuals – it always has to be done in the correct way. “We had been continually asked by clients to track down debtors, witnesses and respondents in order to serve them with legal papers, so that’s how the development came about. Is this a role solely for someone who has worked as a private investigator in the past or is it something that other professions can carry out? “Absolutely. Process serving can be carried out by people working in all walks of life, from High Court enforcement officers to bailiffs, sheriff’s officers and in house representatives of companies or public sector organisations. But surely there must be problems with this form of “DIY” process serving? “It’s not really problems as such,” he explains. “Although there is no reason why it can’t be done by anyone, it’s probably better being carried out by somebody that is not a party to the case - an independent party. “This is because if service is disputed, evidence from a neutral source is far better than that of a party with a clear vested interest in the outcome. Like private investigation, which has recently undergone a number of regulation changes, the business of process serving could also be facing changes in the years to come - something that Peter is more than aware of. “What is most likely to change is the style of service,” he says. Should process servers be licensed like private investigators? “It is our own view that they should be licensed in order to regulate the process serving practice and to deter amateurs from entering the profession and causing difficulties for their clients and disrupting the court process. Whether it’s private investigation work or process serving, Farrington is always keen to emphasise customer satisfaction throughout the entire process from start to finish, something he believes will underpin the good name and authority of any organisation. But as in the world of private investigation there is strong competition and differentiating your business from others is key when it comes to forming a rapport with clients – ultimately meaning the difference between success and failure. What is the secret behind running a successful process serving company? “It’s a case of knowing your stuff,” he explains. “Process serving requires a strong knowledge of the law and court procedure rules. “As many of our cases are debt related, a check of the Insolvency Service Register can sometimes help and ownership of property can be established using The Land Registry, which is relevant when we set out to prove a connection with an address. And for anyone looking for a career in process serving, what are the key skills required? “The best advice is to know your stuff,” is his advice. “The Association of British Investigators publishes a manual entitled the Process Servers Guide and this is the best reference available in our view, and you need to make sure that you have notified the Information Commissioners Office that you are processing data. That is a legal requirement. *Editor's note: this statement was made in reference to process serving in the UK.